per pack of 10 ampoules of 2 ml. 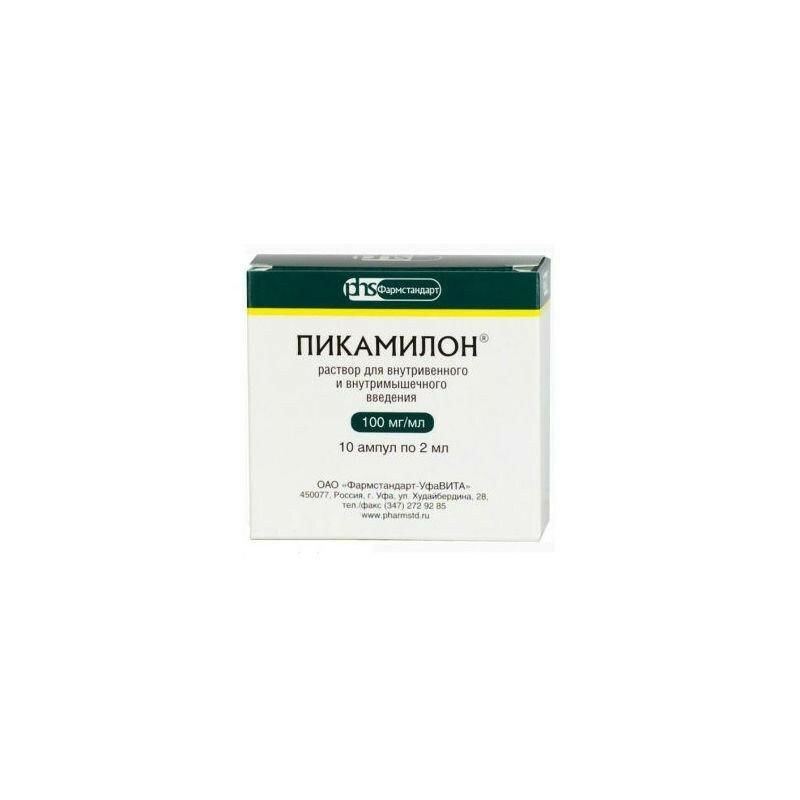 Picamilon has a nootropic effect, improves cerebral circulation. Acute ischemic cerebral circulation of mild and moderate severity, subacute and recovery period of ischemic stroke, cerebrovascular insufficiency, dyscirculatory encephalopathy, vegetative-vascular dystonia, asthenic syndrome, depression, senile psychosis, the state after a traumatic brain injury and neuroinfection migraine; conditions accompanied by anxiety, fear, increased irritability, emotional lability (as part of complex therapy); relief of acute alcohol intoxication (as part of complex therapy), chronic alcoholism (reduction of asthenic, asthenoneurotic, postpsychotic, pre-relapse states), alcoholic encephalopathy; improvement of the tolerance of physical and mental stress (in the tense and extreme conditions of activity, the restoration of physical performance of athletes). Urinary disorder (organic, functional). Hypersensitivity, kidney disease (acute, chronic). Not recommended for severe acute cerebrovascular accident. Parenteral: in / in jet (slow) or drip (the contents of the ampoule are pre-diluted in 200 ml of isotonic sodium chloride solution); v / m.
Acute and chronic violation of cerebral circulation: in / in or in / m 0.1–0.2 g (2 ml of 5–10% solution) 1–2 times a day in a daily dose of 0.2–0.4 g according to the scheme : in the morning in / in drip, in the evening in / m; or 10 days in / in, then in / m, the course of 15-30 days. 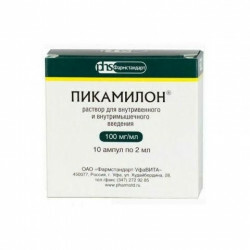 Asthenic condition: in / m 0.2–0.4 g / day (2–4 ml of 10% solution) - 1 month. Alcoholism: in / m 0.1–0.3 g / day - 1 month. Relief of acute uncomplicated ethanol intoxication: intravenous saturation dose of 5 mg / kg, maintenance dose - 1.56 mg / kg / h in a volume of 2.5 liters of infusion solution for 4 hours in the morning and evening. Nausea, headache, dizziness, irritability, agitation, anxiety, allergic reactions (rash, itching); flushing of the face, redness of the face, paresthesias (with rapid on / in the introduction). Store in a cool and dark place, protected from light and moisture, at a temperature not higher than 25 ° C.